It's double trouble as two truly badass rap groups team up for a co-headlining tour that will rock your world! 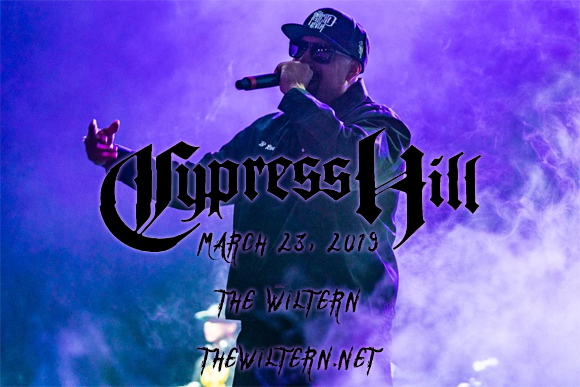 Cypress Hill & Hollywood Undead are hooking up on the West Coast High Tour, and they'll be storming the stage at The Wiltern on Saturday 23rd March 2019, serving up the freshest beats, the hottest rhymes and one hell of a show! Not to mention that these two epic groups are LA natives, so catch them bringing it on their home turf! Tickets available now! The first Latino American hip hop recording group to have platinum and multi-platinum albums, Cyprus Hill formed in Southgate, California in 1988 and has sold 20 million albums to date. The group's self-titled debut studio album was released in 1991, and was an instant critical and commercial hit, setting a blueprint for many hip hop artists to come. Their success continued with Black Sunday (1993), their second studio album, which debuted at number on on the Billboard 200 and made them the first rap group to have two albums in the top 10 of the Billboard 200 at the same time. "Insane in the Brain," the album's debut single, was a massive crossover hit and led to Black Sunday going triple platinum in the U.S., selling roughly 3.25 million copies. The band's third studio album, Cypress Hill III: Temples of Boom (1995), was certified platinum; their fourth, Cypress Hill IV (1998), was certified gold; and their fifth studio album, a two disc album called Skull & Bones (2000), debuted at number five on the Billboard 200. To date, the group has released nine studio albums, including 2018's Elephants on Acid.